Musings of a Pertinacious Papist: The Da Vinci Aqualung Code: Hilarious! 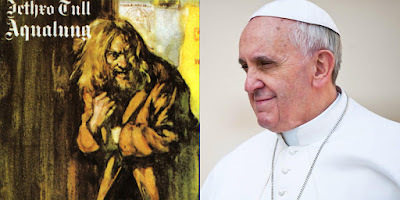 The connection between Pope Francis and the rock band Jethro Tull's 1971 album, Aqualung. This explains everything. The song "My God" featured prominently in Father Bergoglio's discussions, according to our sources. People what have you done? "We imprison the divine with doctrine!" Father Bergoglio would often say vehemently. "Yes, making Him bend to our religious rules instead of letting Him be free among the people! Where is the joy in this?" Another part of the same song inspired a term he came up with one night while listening to "My God." Self-absorbed promethean neo-pelagians. "I remember it like it was yesterday," our source recalled. 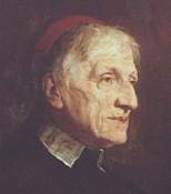 "Father Bergoglio came to my room in an excited state and asked me to accompany him. We went to his room and he played some verses from a rock and roll song on a phonograph. As soon as they were finished, he would turn the record back and play them again. 'Listen!,' he said. His eyes were burning. 'This is telling me something. It's talking about... I don't know. About self-absorbed promethean neo-pelagianism!" Our source continued. "At first I did not understand. Father Bergoglio turned off the record player and looked at me in silence for a moment. Then he repeated it slowly, almost as if he had had a revelation. Perhaps he had." Here are the lyrics that so gripped the imagination of Father Bergoglio in 1971. To Father Bergoglio, these lyrics meant that people rely on their own religious efforts and correctness to save themselves. The lyrics also reminded him of excessive, repetitive, traditional prayers, which he began to call "rosary counting" after listening to the song repeatedly.